Protect your assets. 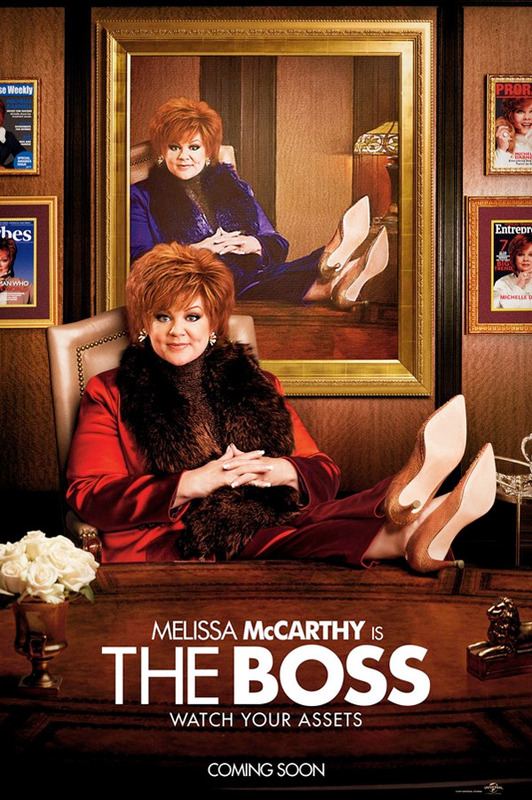 Universal has unveiled a trailer for next year's comedy The Boss from director Ben Falcone and writer/star Melissa McCarthy, the team behind 2014's Tammy. The Boss stars McCarthy as Michelle Darnell, the "wealthiest woman in America" who loses everything when she gets caught for insider trading. She gets a chance to start anew thanks to the kindness of her former assistant, played by Kristen Bell. The cast includes Kristen Schaal, Kathy Bates, Peter Dinklage and a few others. This definitely won't connect with everyone. Some of this looks pretty bad, but some of it doesn't look so bad. Take a look. A titan of industry (McCarthy) is sent to prison after she's caught for insider trading. When she emerges ready to rebrand herself as America's latest sweetheart, not everyone she screwed over is so quick to forgive and forget. The Boss is a comedy directed by actor-turned-filmmaker Ben Falcone, who also directed the film Tammy previously. The screenplay was written by Ben Falcone, Steve Mallory and Melissa McCarthy. Universal will release Falcone's The Boss in theaters on April 8th, 2016 next spring. Anyone? Yeah, didn't laugh once. So there's that. God I love Melissa McCarthy!!! So what is with the turtle necks? Is tis a remake of Troop Beverly Hills? Melissa McCarthy is really "Melissa McCarthying" it up! We had to sit through this preview yesterday before "Hail, Caesar!" Yes, it looks bad. Very bad. Like, the Donald Trump of movies. Really, I weep for humanity.